The action scenes in Boy Robot were also awesome. I totally want to see this turned into a movie with rad special effects. The robots’ abilities in general looked super cool in my head and then add to that the car chases, things going boom, epic battles…I’m there. I rarely have mental pictured of scenes as vivid as the ones Boy Robot created in my head. Other things I loved? The characters; they all have such a special place in my heart. The robots and robot allies are all so different and at the same time so fiercely committed to the same goal and it’s a beautiful thing. I also have a ship that feels like it’s maybe in danger but I ship it SO FREAKIN’ HARD. Why, Simon? Why do you have to torture me? I also really liked the vignettes in between chapters. They gave an interesting peek into the backstory of soon-to-be-met characters. I will warn, however, that there are some that are a bit graphic/allude to very difficult circumstances. 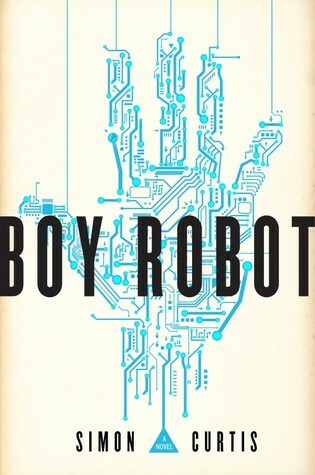 The one thing I wasn’t crazy about with Boy Robot was how it dragged at points. There were a couple lulls in action that made progress feel incredibly slow and one chapter at the end that was insanely long. I kept trying to finish the chapter so I could head to bed but it just would not end. I find my attention wanes very easily when there’s no clear breaks in the narrative so it made the last chunk a bit tough to mentally push through.